Kraft Foods Group Inc is a grocery processing and manufacturing organization in America. This Public organization offers services in different states of the US. The company was founded in the year 2012 and initially it started offering services in N. America regions. Headquarter of the organization is in Northfield, Illinois. In addition, it has a suburb office in Chicago as well. John Cahill is the CEO of the organization and it has total assets of 93.837 billion US dollars. In 2011, record says that more than 126,000 fulltime employees work with the organization. The company earns revenue amount of $54.365 billion approximately. There are currently 0 consumer reviews about Kraft available. Share your review. Please take a note that you are about to post a public review about Kraft corporate office on CorporateOffice.com. This review will be public, so please do not post any of your personal information on this website. 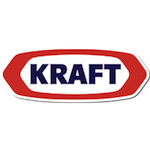 If you would like to contact the corporate offices of Kraft, please use their contact information such as their phone number, website, and address listed above to contact them. However, sometimes staff from Kraft headquarters do read the reviews on this website.